If you want to learn about numbers, you might also want to read the online counting book, learn your times tables or complete some math worksheets. There is one cat in the picture. The number that comes after one is two. 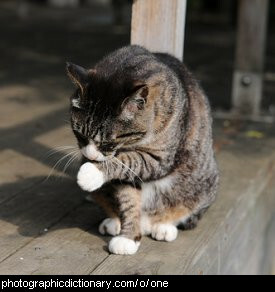 You can also use one as a pronoun, for example "one must do one's homework". 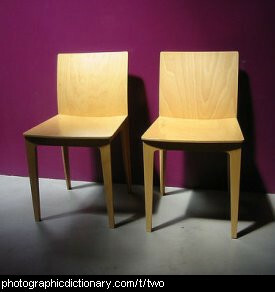 There are two ( 2 ) chairs in the picture. If you cut something into two pieces, you get halves. The number before two is one. The number that comes after two is three. 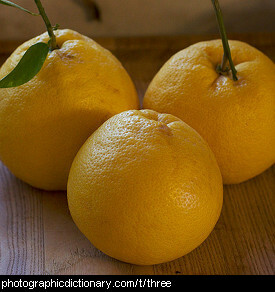 There are three ( 3 ) grapefruit in the picture. If you cut something into three pieces, you get thirds. The number before three is two. The number that comes after three is four. 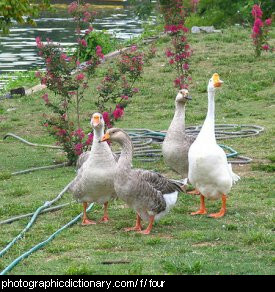 There are four geese in the picture. If you cut something into four pieces, you get quarters. The number before four is three. The number that comes after four is five. 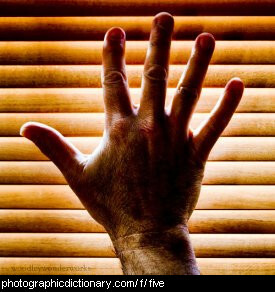 You can count to five on your fingers on one hand. The number before five is four. The number that comes after five is six. 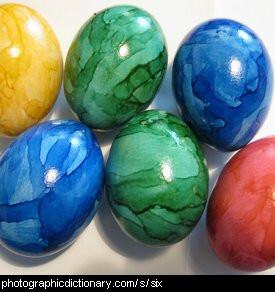 There are six coloured eggs in the picture. The number before six is five. The number that comes after six is seven. 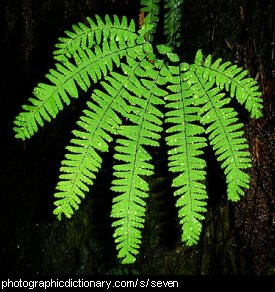 There are seven fronds on the fern in the picture. The number before seven is six. The number that comes after seven is eight. 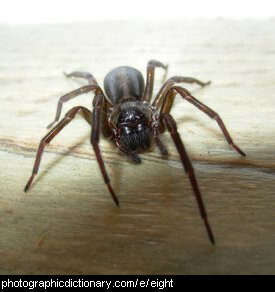 There are eight legs on the spider in the picture. The number before eight is seven. The number that comes after eight is nine. 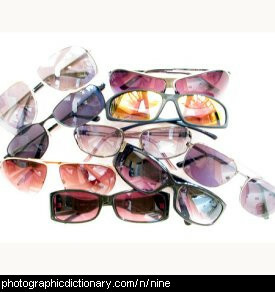 There are nine sunglasses in the picture. The number before nine is eight. 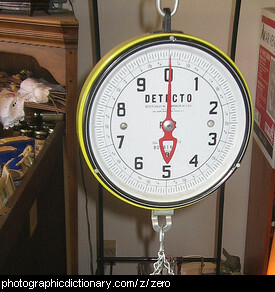 The number that comes after nine is ten. 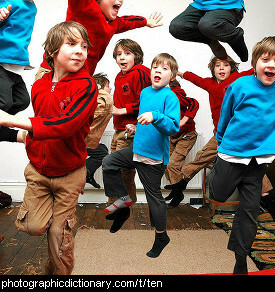 There are ten boys in the picture. The number before ten is nine. You have ten toes on your feet. 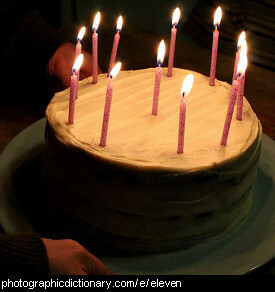 Eleven (11) is the number after ten and before twelve. Eleven is a prime number. 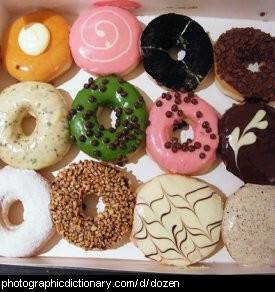 A dozen is another word for twelve (12). A half dozen is another word for six (6). 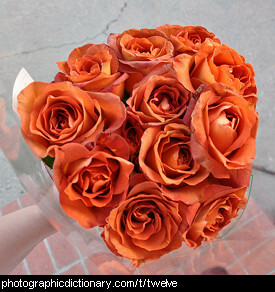 A lot of things are sold by the dozen, like roses and eggs. One hundred (100) is ten sets of ten. There are 100 years in a century. 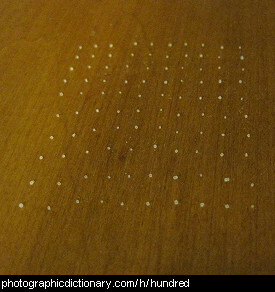 The photo is of one hundred grains of salt.